The Waterhouse - Seaview Accommodation. Heated Pool: Pool is heated September - May. During June, July and August the pool will not be heated as the temperatures are too cool to heat the pool sufficiently. 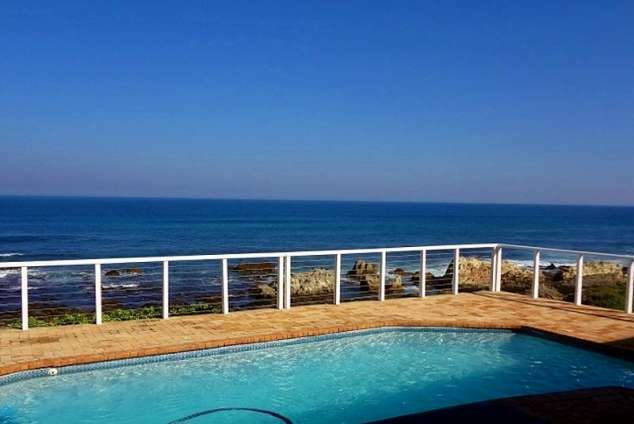 Large lounge overlooking the ocean with bar area, indoor braai area and dstv. Please note: The Waterhouse is not wheelchair friendly. 15431 page views since 02 Jul, 2013. Last updated on 09 Jan, 2019.